Published for The Society for the Psychological Study of Social Issues (SPSSI), the Journal of Social Issues (JSI) brings behavioral and social science theory, empirical evidence, and practice to bear on human and social problems. Each issue of the journal focuses on a single topic — recent issues, for example, have addressed poverty, housing and health; privacy as a social and psychological concern; youth and violence; and the impact of social class on education. 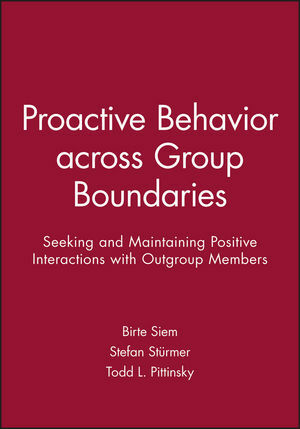 Birte Siem, Post-Doctoral Research Fellow, International Graduate College "Conflict and Cooperation Between Social Groups", Friedrich Schiller University Jena 2008: Ph.D. in Psychology at the University of Hagen.